"One must be drenched in words, literally soaked in them, to have the right words form themselves into the proper pattern at the right moment." Writer of young adult fiction. 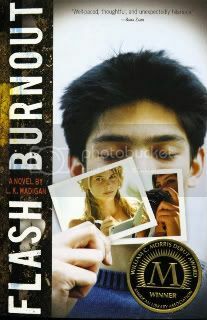 My first young adult novel, FLASH BURNOUT, is published by Houghton Mifflin. It was named the 2010 William C. Morris YA Debut Award Winner by the American Library Association. 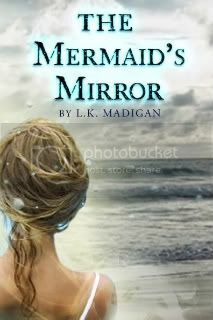 My second YA novel just came out - it's a fantasy called THE MERMAID'S MIRROR. Oregon, where it rains all the time. It may not be a vacation wonderland ... but it's conducive to writing. I've heard you do silly interviews with MG and YA authors. Really? Can I read the happiest entry your blog ever posted? Why, yes you can! You'll find it here. How about the second-happiest entry? What is the Feast of Awesome? It's an online community of debut novelists whose middle grade and young adult books are coming out in 2009. You can read more here. Did you start Thankful Thursday? I did. Just call me the Gratitudinator. :-) I was feeling so lucky one day I had to vent the overflow of emotion. You can read the first post here. All books reviewed on this site have been purchased by me, borrowed from the library, or sent to me by authors or publishers ... with no review required. autumn light, books, bookstores, bram stoker, carol shields, charles dickens, chocolate, clair de lune, coffee, doctor who, edith wharton, elvis, flat-coated retrievers, half moon bay, harry potter, hydrangeas, internal monologues, jimi hendrix, libraries, mavericks, mermaids, mosaics, new york city, piano, pies, pink panther, pirates, pixels, powells books, princess bride, radio, raspberries, reading, scotland, sea otters, sherlock holmes, snorkeling, tea and bickies, teen books, the big island, the ocean, tricksters, u2, victorian literature, vladimir nabokov, w.b. yeats, wallace & gromit, wilkie collins, words, writing.